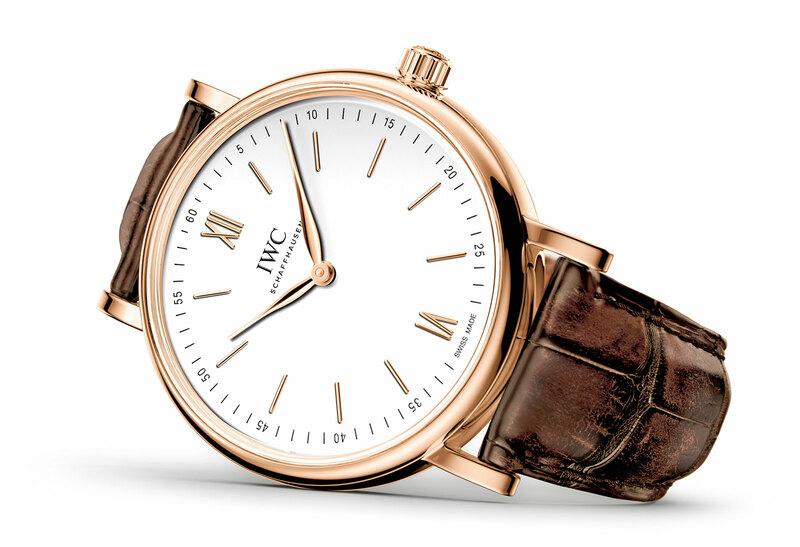 The last new IWC for 2014 has been revealed: the Portofino Hand-Wound Pure Classic, a large and slim wristwatch with only two hands and an eight day power reserve. 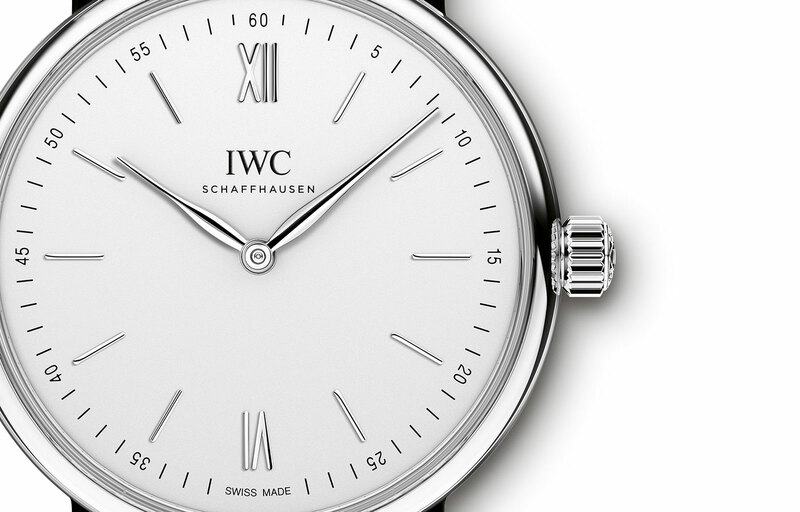 The focus of IWC‘s collection at SIHH 2015 will be the Portuguese (including a new Portuguese Annual Calendar), but that only happens in January. 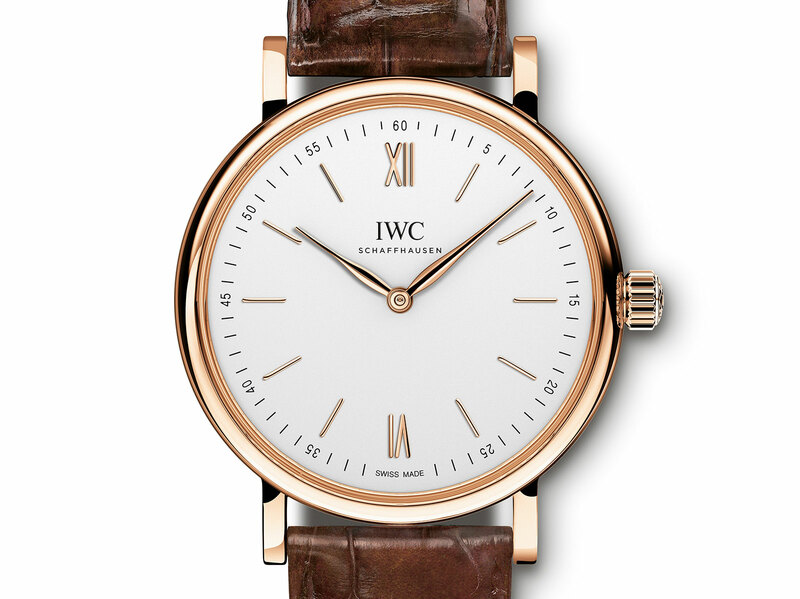 The last addition to the IWC line-up for 2014 is the new Portofino Hand-Wound Pure Classic, a concise, time-only watch. Measuring 43.5 mm in diameter and 12 mm high, the case is large but slim, and enough to accommodate the calibre 59060 inside. First used in the Portuguese Pure Classic, the movement is hand-wound with an eight day power reserve. To keep the dial free of clutter, the power reserve indicator is on the back. 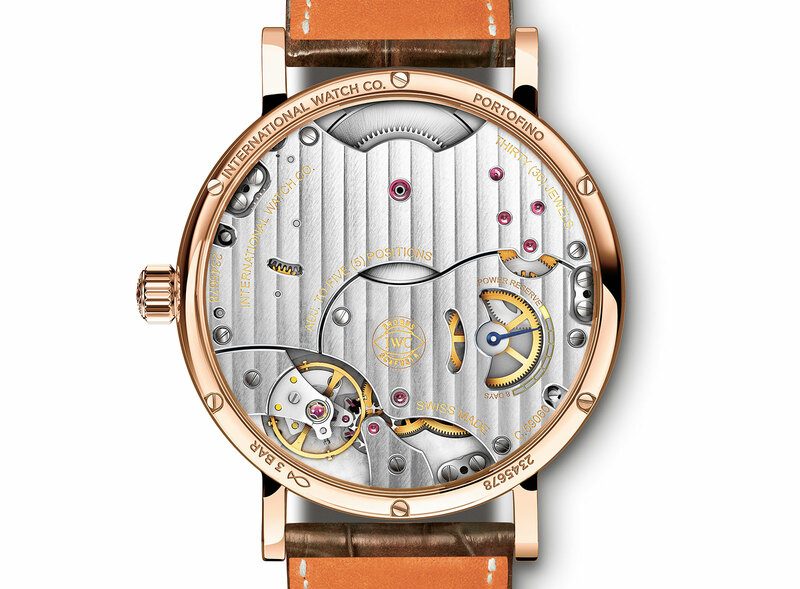 The movement design is typical of recent calibres developed by Richemont brands, with a small balance wheel, large bridges and a modicum of decorative finishing – generally fuss free and functional. Like the rest of the Portofino line this is delivered with an antique-finish Santoni strap. The Portofino Hand-Wound Pure Classic will cost 23,900 Singapore dollars in rose gold and 12,700 Singapore dollars in steel (prices include 7% tax). That works out to about US$19,100 and US$10,200 respectively.